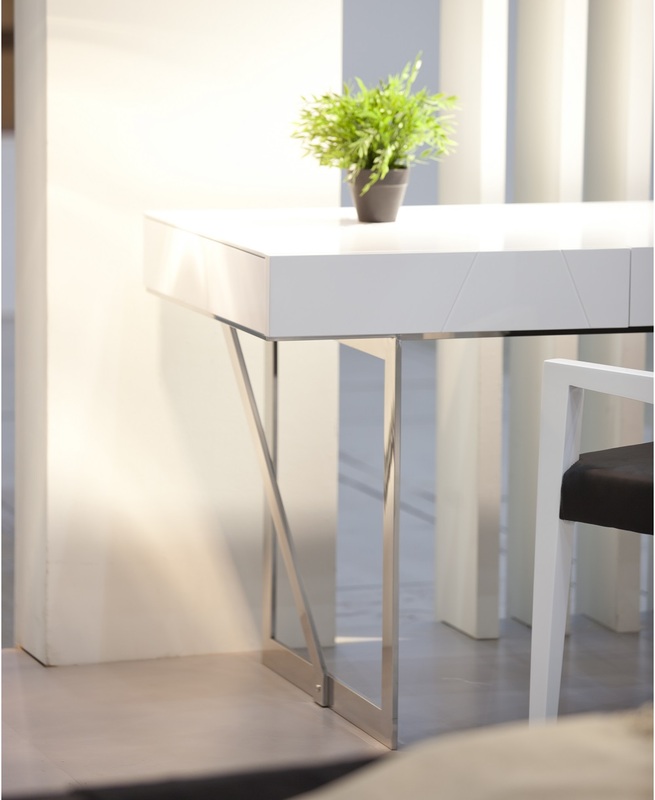 The loft desk features a clean ultra modern design. Chrome legs meet the rich white matte finish for a clever contrast. 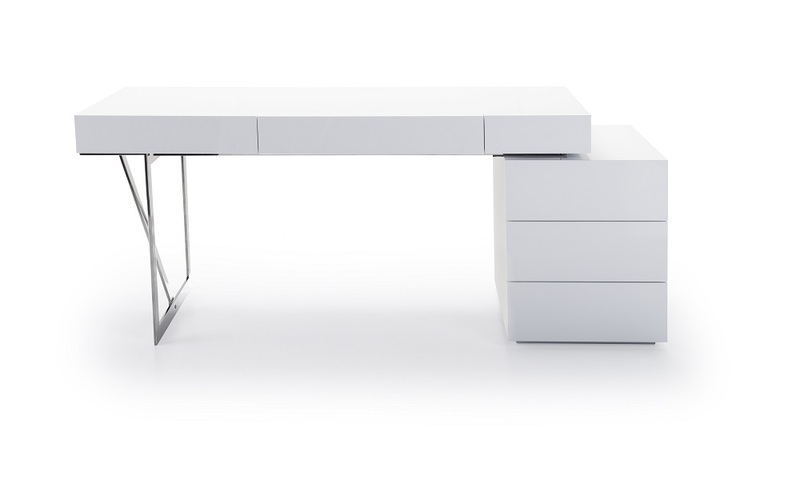 This desk features 3 storage drawers for convenience of storage that can be reveresed to change the orientation of the desk.